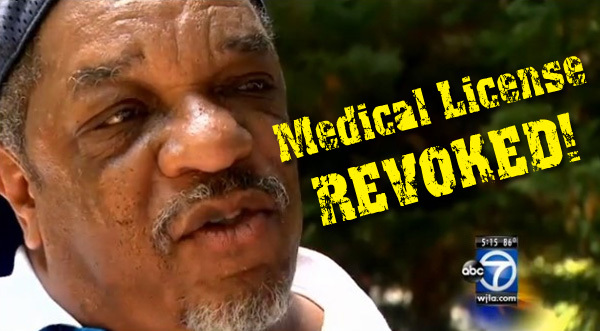 Annapolis, MD – The Maryland Board of Physicians has issued an order revoking the medical license of late-term abortionist Harold O. Alexander, saying it has no confidence that Alexander possesses the ability to practice medicine safely in light of the fact that previous disciplinary action failed to reform his behavior. It is set to take effect 10 days after it was issued on October 25, 2016. “It is great news that this man will no longer be allowed to practice medicine. We have long considered him a menace to the public, and now we finally have a Board order agreeing with us,” said Troy Newman, President of Operation Rescue, which has asked to the Board numerous times to take stronger action against Alexander. The decision to revoke his license stemmed from a complaint that Alexander had breached the standard of patient care in his treatment of a Denmark woman, who went to Alexander’s unlicensed Integrated Ob/Gyn abortion facility in Forestville, Maryland, for an abortion at 28 weeks into her pregnancy in February 2014. The Board determined that the procedure done by Alexander could not be classified as an abortion because Alexander’s examination of the woman determined that her baby was already dead when she arrived at his facility. Instead, the patient required an obstetrical delivery of her stillborn. Her treatment should have fallen under obstetrical standards that required him to refer the woman to a hospital for the delivery of her stillborn baby. Nevertheless, Alexander treated her as if she was getting an abortion. He put her at risk by unnecessarily injecting digoxin into her womb to kill the baby even though the baby was already dead. “Dr. Alexander exercised poor clinical judgment by disregarding his own medical assessment of the patient and treating the patient he expected rather than the patient who actually presented,” the revocation order stated. Another contributing factor in the Board’s decision was the fact that Alexander had been previously disciplined and was currently on probation at the time of the 2014 incident. 1. Alexander’s office was not licensed as an abortion facility. 2. His office had no surgical equipment in the event a surgical procedure was required. 3. He employed no licensed staff to assist him. 4. He held no hospital privileges. 5. His facility had no hospital transfer agreement, which placed the patient in danger in the event of an emergency. 6. He conducted “midnight abortions” in the middle of the night, an indication that Alexander was attempting to operate his very late-term abortion business under the radar. Despite these findings, the Board chose not to base its ruling on any of those those egregious factors. Operation Rescue has been calling for revocation of Alexander’s medical license for years, and the decision to revoke Alexander’s license is indeed a victory. However some of the reasoning behind that decision has created concerning loopholes when it comes to very late-term abortions. •	The Board has classified very late-term Induction Abortions, where labor is initiated and the dead baby is born intact, as “medication” procedures. This creates a troubling loophole that places third-trimester Induction Abortions on the same oversight plane as very early abortions done with abortion pills. It means Induction Abortion facilities like Alexander’s are exempted from requiring a surgical abortion facility license to do them, even though they are among the most danger-prone abortions done in America today. •	The Board determined that Induction Abortions are less dangerous to women than delivering a stillborn baby. In both cases, the baby is dead prior to the induction of labor. There is essentially no difference from that point on from the Induction Abortion process and delivery of a stillborn. This distinction without a difference permits late-term Induction Abortions to be done in the riskier environment of an unlicensed outpatient surgical facility, putting the lives of women at great risk. Operation Rescue reported Alexander for operating an illegal secret bi-state late-term abortion scheme in partnership with Florida abortions James Scott Pendergraft, IV. Alexander was issued a three-month suspension on August 22, 2012, for – among other offenses — destroying medical records under subpoena by the board related to his business with Pendergraft. In February of this year, Operation Rescue caught Alexander conducting “midnight” late-term abortions at his unlicensed facility, and again reported him to the Maryland Board of Physicians. Operation Rescue spoke with Alexander today and confirmed his Integrated Ob/Gyn abortion facility, is still open at this time and he is still conducting abortions. Once the order goes into effect, that should thankfully be the end of Alexander’s abortion business. “We look forward to next week when Alexander’s license revocation goes into effect. This should also close down his shoddy abortion business, but he has proven he has no regard for laws or the lives of women, so we will continue to monitor him, just in case,” said Newman.